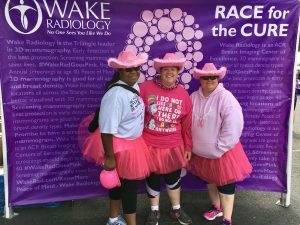 RESEARCH TRIANGLE PARK, May 9, 2017 — Wake Radiology, the Triangle’s leading provider of outpatient medical imaging, salutes all of the survivors, supporters and volunteers who turned out on a surprisingly cool and wet May morning to make last weekend’s Komen Triangle Race for the Cure a huge success. 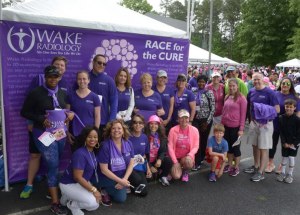 For the second year in a row, the race was held at The Frontier in Research Triangle Park. 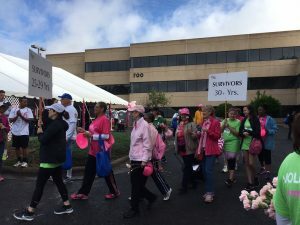 Early estimates indicate that more than 7,000 people participated in the event, but official numbers are still being tallied. 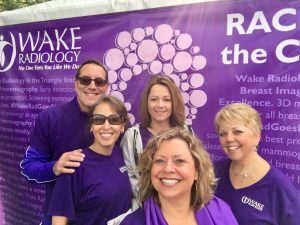 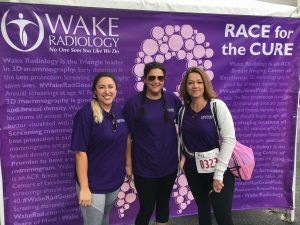 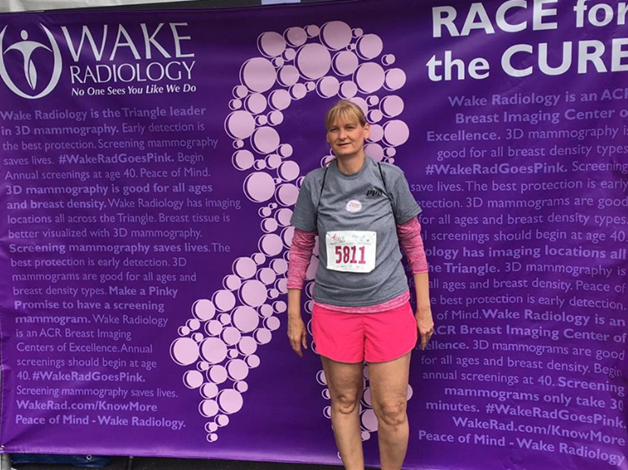 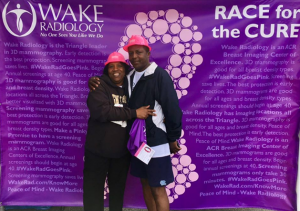 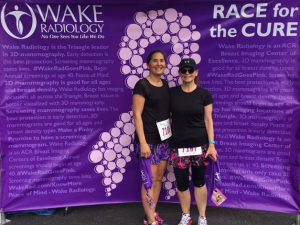 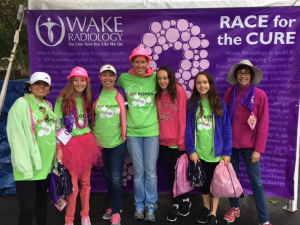 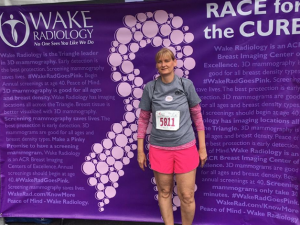 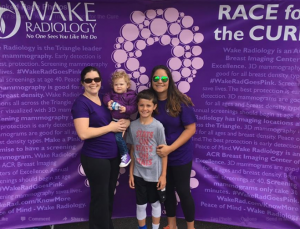 Again this year, Wake Radiology was proud to be the official sponsor of the more than 340 teams who participated in the event. 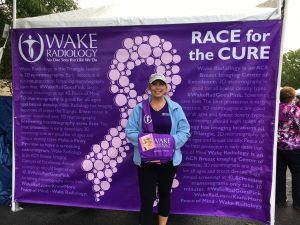 At the race, we happily gave away more than 5,500 cooling towels (which many used as warming towels because of the weather). 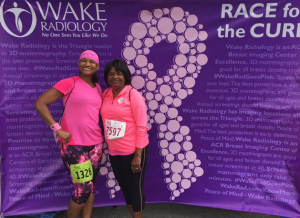 And, we also provided a pink-ribbon backdrop for participants to take a selfie and share their experience. 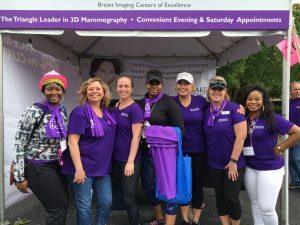 While at Komen, we encouraged women to make a “Pinky Promise” with someone they love that they will have a screening mammogram during the next 12 months. 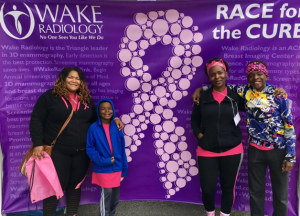 Most all participants agreed that regular screening mammograms and early detection are critical in fighting breast cancer. 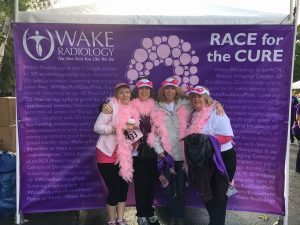 Just like during the race-day event, there is still time for women to make a Pinky Promise and be entered to win a Alta FitBit HR. 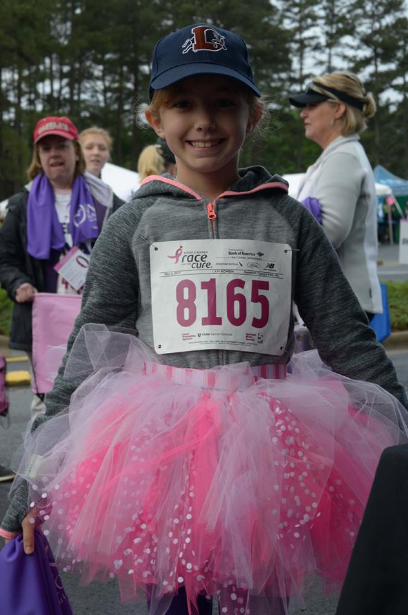 Our Komen Pinky Promise campaign is open through Mother’s Day, May 14, 2016. 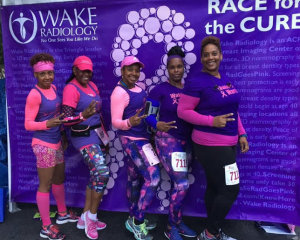 Click here to make your Pinky Promise. 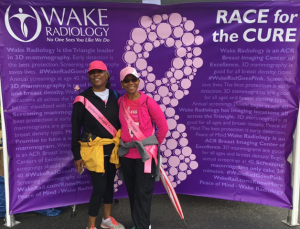 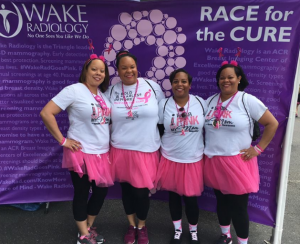 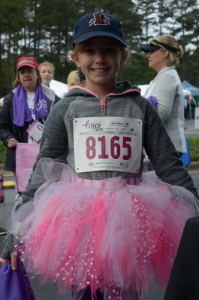 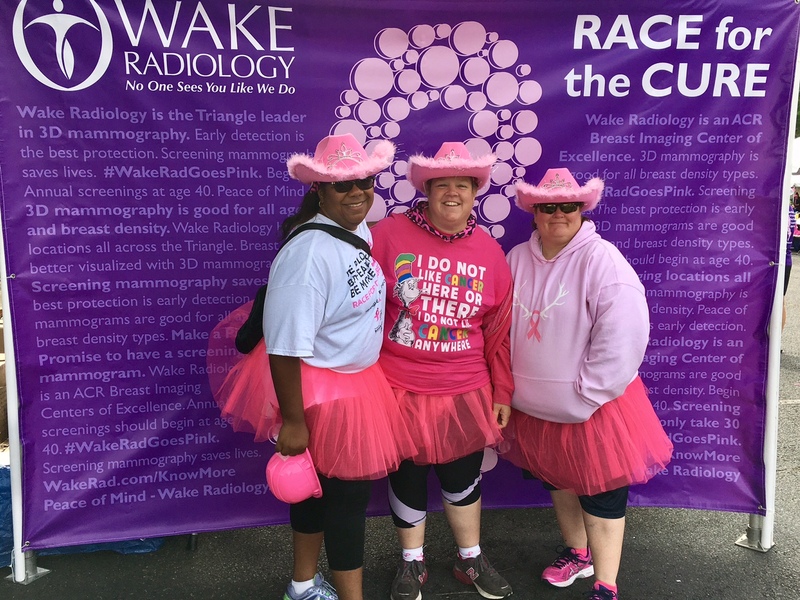 To learn see more pictures from Komen, follow Wake Radiology on Facebook, Twitter or LinkedIn. 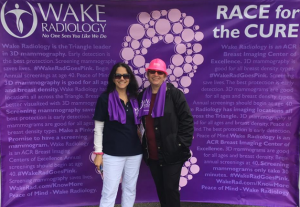 Just click the icon in the footer of our website to connect.